On Monday the strawberries were purchased. Yes, there is more to the story! In the afternoon my kitchen became a production line. The berry stems were removed and the yummy fruit was given a rinse in cold water. After draining, each berry was cut into 2 or 3 slices and 2 Cups of the fruit was placed in Quart Ziploc Freezer Bags. About 4 teaspoons of Sugar was added to the individual bags before sealing, labeling and then placing them in our large freezer. 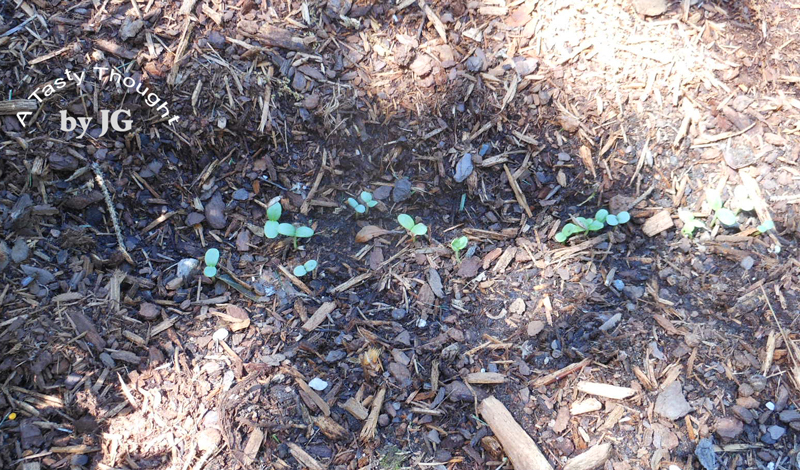 They will be defrosted during the year - a great topping for Oatmeal Pancakes, ice cream or in a fruit salad. Today, sitting on the Dining Room table were 2 batches of Strawberry Freezer Jam doing its thing - preparing itself! Yesterday, the 1 cup Ziploc Freezer containers were cleaned and the Certo, Lemon Juice & Sugar located. 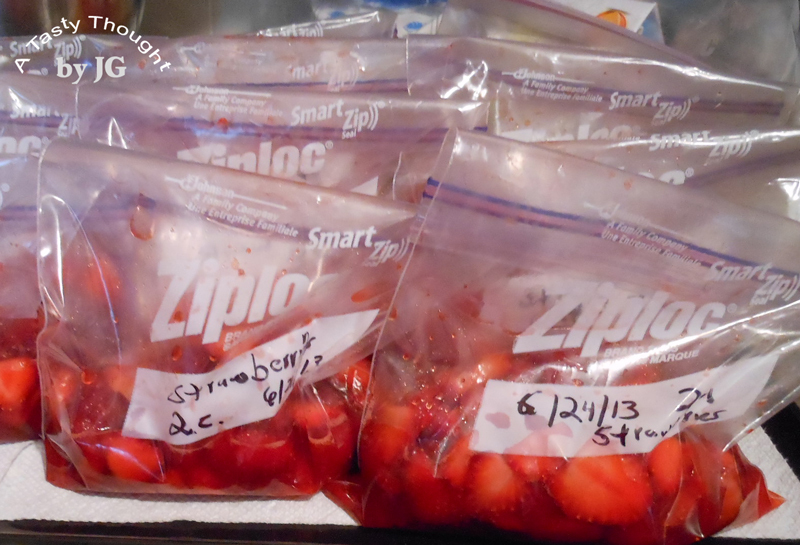 My plans for the 2 quarts of strawberries in the fridge was starting. I could see 2 batches of Freezer Jam in my future. Growing up my mom, sister & I always made the year's supply of jams when the local fruit was in season. Those were the days of "sweating over a hot stove" and using paraffin wax. 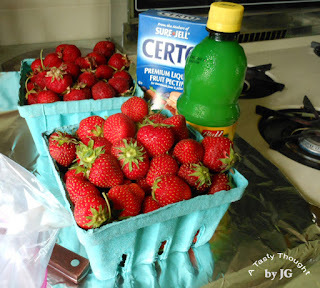 Years later, I discovered the Freezer Jam recipe inside a Certo box. It was my "Industrial Revolution" moment! From that day on I make Freezer Jams in the summer. After following the recipe in the Certo box, the filled covered containers sit undisturbed for 24 hours. After the 24 hour time period into the freezer they go. 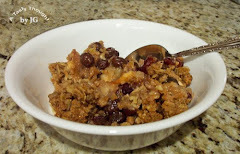 Very easy + very tasty all year long! 1 batch of Freezer Jam is prepared at a time! Do not double the batch - prepare each separately. Follow the directions exactly. Click here for more of my hints. It's after 4 PM and now both batches of Strawberry Jam are in the freezer. Woohoo! Do you prepare this easy tasty Jam? Snickerdoodles - The remaining 4 for my photo op! The Cinnamon/ Sugar coating smells so good as you bite into a soft delicious Snickerdoodle. Yum! These cookies are a fave of my fam. I've also learned that it ranks tops with my next door neighbor who just graduated from our high school. The graduation party was on Saturday. Sunday, the Dads in our fam celebrated their day. 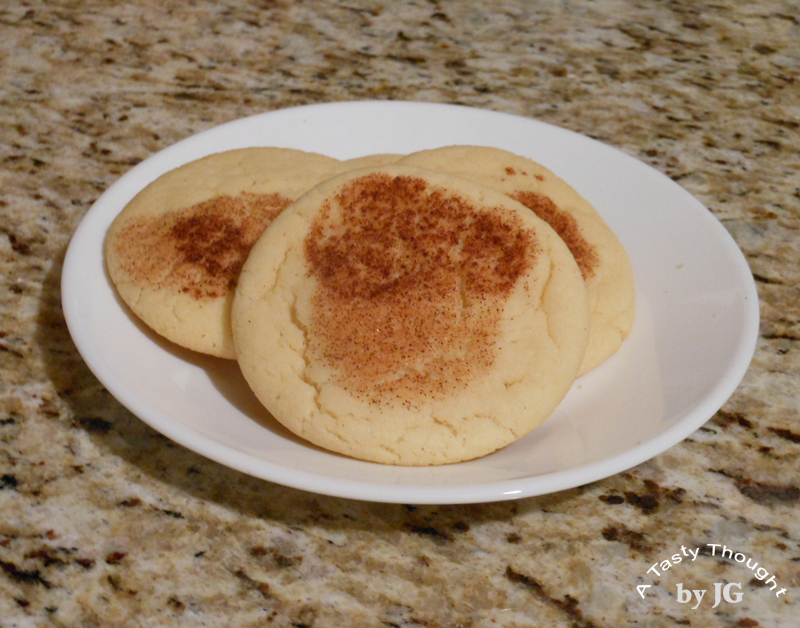 What better dessert than Snickerdoodles for both occasions? On Friday afternoon my 37 year old KitchenAid mixer was put to the test and my oven was in mass production mode. A triple batch of these cinnamon flavored cookies covered my kitchen counters. Over the years, Snickerdoodles have filled the role of birthday cakes for my sons after they moved out of our area and began their careers. A box delivered to their doors containing homemade cookies is one special yummy gift! When preparing these cookies, after the small balls of dough are formed, I place them quickly into the Cinnamon/ Sugar Topping mixture rather than roll the dough around and cover the entire ball. Using a mixer beat Butter/Margarine, Shortening + Sugar. Add Cream of Tartar, Baking Soda, Salt + ½ of the Flour and mix. Add in remaining Flour + mix. Shape rounded teaspoonfuls of dough into balls. Place ball of dough into Cinnamon/Sugar Mixture. Place ball of dough Mixture side up onto ungreased baking sheet, 12 balls/sheet. Bake about 9 Minutes, underside of cookie will be lightly browned. ***Snickerdoodles do not freeze well. The triple batch of cookies are g-o-n-e! They were shared 3 ways and were totally enjoyed! It's offered Free of charge in Massachusetts! It's Fun! It's on Fridays during the summer! Free Fun Fridays! Again this summer the Highland Street Foundation very generously is offering FREE ADMISSION to 60 cultural and/ or historical venues throughout my state of Massachusetts. The places to visit range from the countryside of Western Mass to the busy streets of Boston and include the salty air of the Cape (Cape Cod). Click here for complete list. Families residing in or travelers vacationing or passing through Massachusetts are all welcome to choose from 6 venues each Friday. Every Friday the venues change and are not repeated. So many great places to visit! June 28 is the first Friday! On the 1st Friday, 1 of the 6 places to visit is Heritage Museums & Gardens. 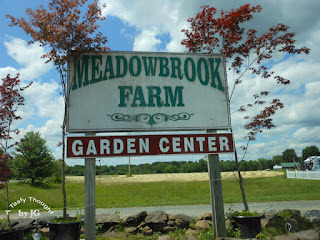 Last summer my DH & I drove through Sandwich, MA on our return trip home after spending a few relaxing days at the Cape. We stopped in to visit the Heritage Museums. The Shaker style barn is fascinating and houses the antique cars. 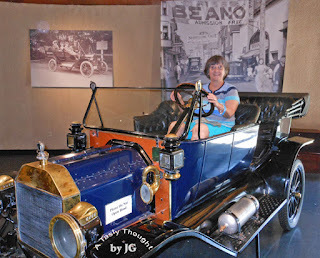 Sitting in an antique car and also taking a ride on the carousel was FuN! 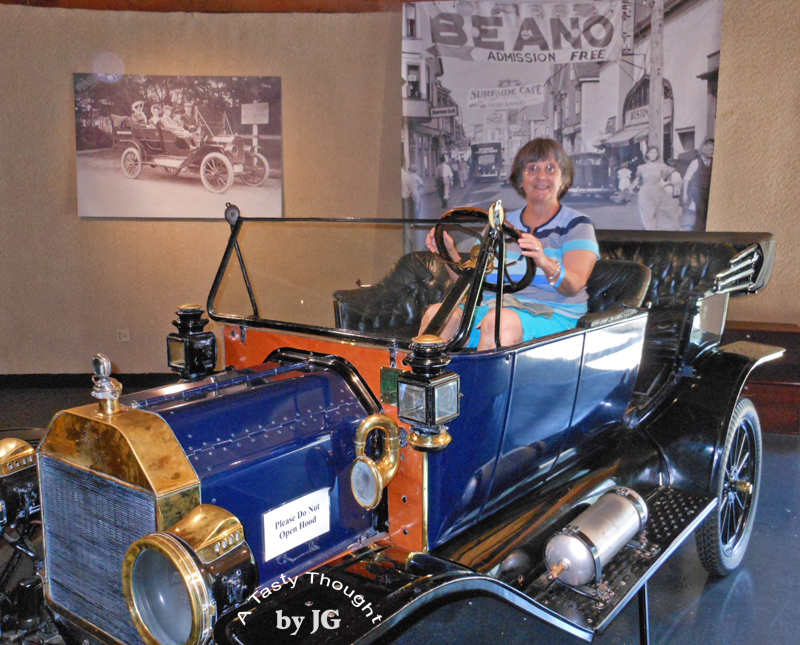 On another Friday in August visit the Springfield Museums in Springfield. There are 4 museums in this beautiful complex. Works by Monet, Chardin and Bellows along with Currier & Ives prints are a few of the treasures on view in the Museum of Fine Arts. Decorative Japanese Samurai Suits of Armour & beautiful Netsukes are displayed in the Victorian era Smith Museum. View the Duryea and Knox cars and Indian "Motocycles" that are located in the Springfield History Museum. A planetarium is located in the Science Museum along with other treasures. I spend much time at the Springfield Museums during the school year in my role as a Museum Educator. It's a wonderful place! My Grandson totally enjoys the Franklin Park Zoo in Dorchester. Kangaroos, Emus, Tigers & Zebras are some of his faves whenever he visits. 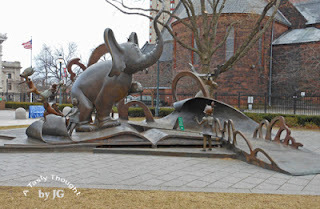 This zoo is where he learned the names of animals and how to pronounce their names. A free visit awaits you in August! This program ends on August 30 with 6 more great treasures to choose from. The Norman Rockwell Museum in Stockbridge is great! Located in the Berkshires, it's always picturesque driving down Main Street in the town. Walking into one gallery, "Main Street (Stockbridge Main Street at Christmas)" catches your eye! Details everywhere! If you have questions about this program, the Highland Street Foundation has a FAQ. Click here for FAQ. As we all plan activities for our families for summer days and if you live in, near to or will be traveling through Massachusetts, check out the list! Learning while having FuN is the best way to learn! Yesterday it was official! Our 1st heat wave! This AM when our outdoor thermometer read 90.5°F, our thoughts were that we did not want a fourth day of 90°F + temps. A tad too early! 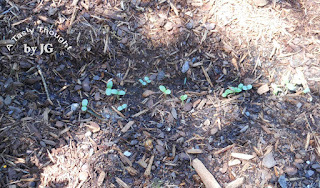 However, with the sun shining brightly, the Zinnia seeds have burst upward! 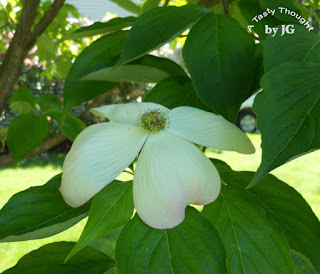 Our Dogwood Tree outside my Computer/ Sewing Room is looking good! The branches are filled with these pink edged ivory flowers. When the weather suddenly gets warm, a cool easy dessert tastes so good! Simply Delicious! This particular dessert contains 3 ingredients: 1 Cup of Vanilla Ice Cream, 1 small box of (your favorite flavor) Jell-O Gelatin and 1 Cup boiling Water. 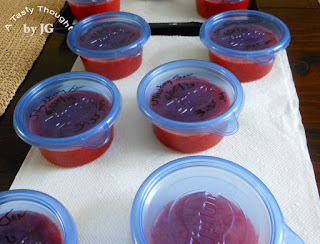 Sugar Free Jell-O works great! Boil cold water and measure 1 Cup boiling Water for dessert. Place contents of 1 small pkg. 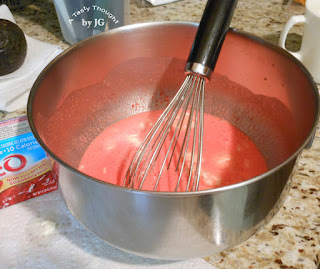 Strawberry flavored Jell-O Gelatin in medium sized mixing bowl. I pour the liquid containing the 3 ingredients into coffee mugs before placing in the fridge. Yesterday, we enjoyed Strawberry Simply Delicious! Right now, the Lemon flavored is in our fridge.